In Greek mythology, Nomia was a type of nymph, one that was an incarnate of fresh water, babbling brooks, and mountain streams. And if nymphs were still magically sparkling out of trees and water fountains in 2012, they would surely be wearing Nomia's collection of silky fabrics, naturally occurring hues, and sporty undertones--for easy escape from the lustful hands of humans, right? 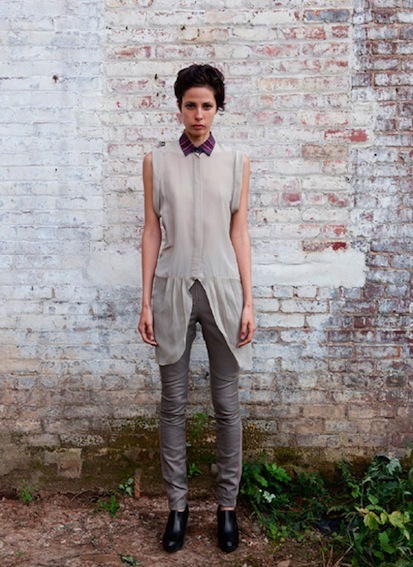 The Nomia s/s '12 collection highlights mineral pigments of vermilion red, natural clay, agate’s layered purples, and azure contrasted by Nomia’s sophisticated sportswear silhouettes a little color blocking, insets and cut out detailing. Nymphs or not, we're ready to dive in. 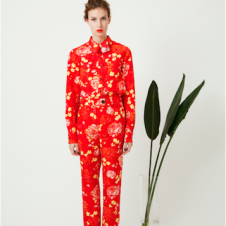 Have a look at our favorite pieces from the Nomia's s/s ’12 lookbook below.